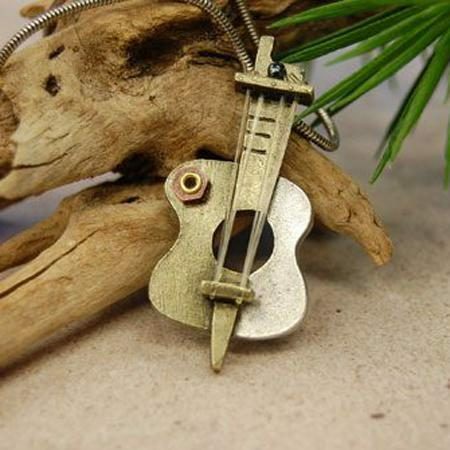 Modern Guitar Necklace – Wear a piece of art around your neck with this stunning necklace! Crafted with intricate detail, this pendant is inspired by Picasso’s iconic guitar collages. This truly one of a kind jewelry piece is an ideal gift idea for a guitarist or a lover of art. Made from plated pewter castings, wood, rubber strings and Czech seed beads. The guitar hangs from a silver plated brass chain. Approx. 2.5″ in length.